Paraphrased from Roman dictator Sulla and popularized by General James Mattis, the phrase on this military shirt has become an unofficial saying of the USMC. 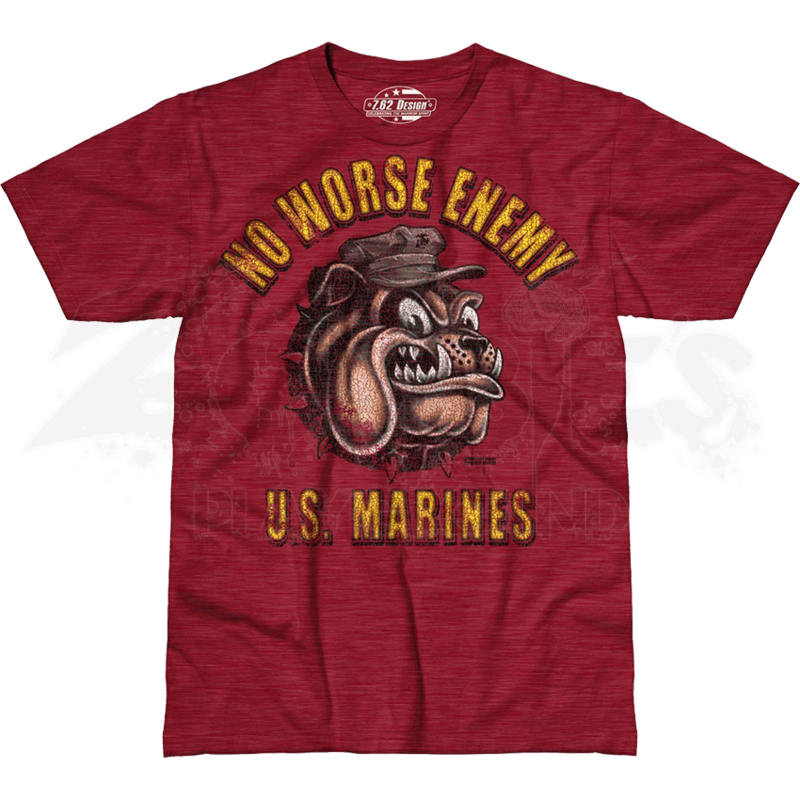 The No Worse Enemy T-Shirt makes the perfect gift for any Marine. 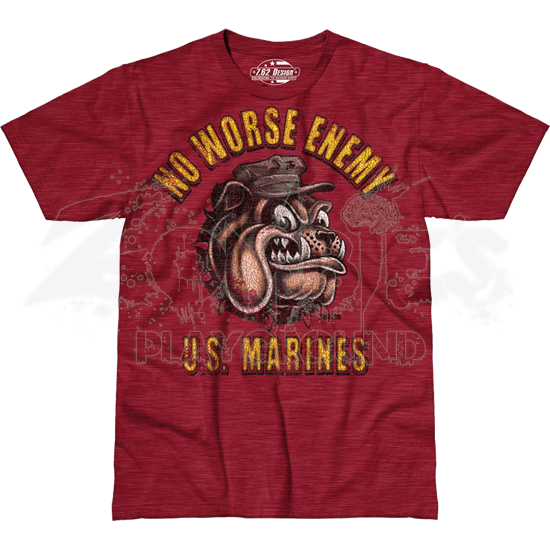 The phrase NO WORSE ENEMY arcs over the top of a USMC Devil Dog graphic in yellow text that stands out against the red material of the Marines shirt. The text continues underneath the image, reading, U.S. MARINES. The bulldog features tusk-like fangs and wears a military hat and spiked collar. This patriotic shirt is made from comfortable cotton fabric, making it a great choice for casual wear. Add this piece to your collection to let everyone know you make a better friend than foe.